The Jeff Beck Group were an English rock band originally active in the late 60s, led by guitarist Jeff Beck. After the success of their debut album Truth, The Jeff Beck Group returned to the US for two more highly successful tours. They were joined by pianist Nicky Hopkins, who had played as a session musician on Truth. Hopkins was keen to play live, though was actually quite ill at the time. Before the band toured the US for the fourth time, they took time out to write new material and start work on a second album. It was then that drummer Micky Waller was replaced by Tony Newman, and Hopkins was hired as their full-time keyboardist. 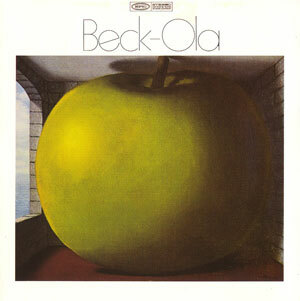 Beck-Ola came out in the summer of 1969. It took the blues-rock format of Truth into heavier territories, part of which was due to the new drum sound that Newman brought with him. Alongside five original songs were two rocked-up Elvis Presley covers ("All Shook Up" and "Jailhouse Rock"). The one quiet moment of the album came courtesy of Hopkin's contribution, the piano-led instrumental "Girl From Mill Valley". It got to the same US chart position as Truth had - #15. Though it was another step forward in terms of taking blues-rock into heavier directions (comparable to what Led Zeppelin were doing the same year), it could be argued that it wasn't as even an album as its predecessor, with not so much strong material (the album was only half an hour, with seven songs). After its release, the band toured America for the fourth and final time. By then the inevitable personality differences were beginning to rise. That same summer singer Rod Stewart began work on his first solo album. The band was supposed to play the Woodstock festival, but Beck pulled out at the last minute. Both Stewart and Ronnie Wood then were announced as the replacements for Steve Marriot in the Small Faces (which they renamed the Faces). By then the band was finished. They were only together for two years, but during that time they played a very important (and sadly underappreciated) role in the development of rock music. Later in 1970, Beck formed a new group using the same name. Rod Stewart went on to be a superstar, and Ronnie Wood became well-known as a guitarist first with the Faces and later with The Rolling Stones. Nicky Hopkins went to America and played with Jefferson Airplane and Quicksilver Messenger Service, as well as continuing to play on Rolling Stones records until his death, and Tony Newman worked with Davie Bowie, T Rex and others in the 70s.